Welcome back to the Power BI blog series! This month, we’re going to take a look at a number of different custom visuals that are available from the Power BI marketplace. Welcome to our Power Query blog. This week, I look at an example which uses some of the M functionality for dealing with files and folders. Welcome back to our Power Pivot blog. Today, we introduce the DIVIDE function. 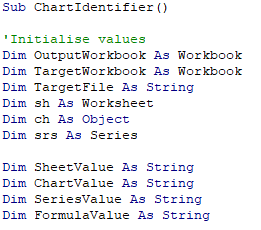 Welcome back to our regular A to Z of Excel Functions blog. Today we look at the EXPONDIST function. Welcome back to the Power BI blog! This week, we’re going to look at the Key Influencers visual and provide some guidance on how you can use it from a practical perspective. Welcome to our Power Query blog. This week, I look at some of the M functionality for dealing with folders. Welcome back to our Power Pivot blog. Today, we discuss the CALCULATETABLE Function.